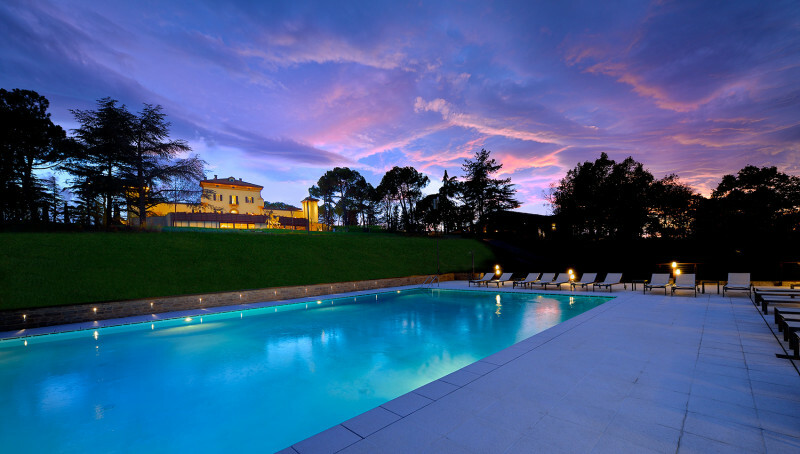 A Palazzo and a Ferrari: The perfect Italian weekend. It’s not uncommon for a luxury hotel to boast about rooms with hand-crafted furnishings, original artwork and 1,000 count Egyptian cotton linens. When you book The Red Experience at Palazzo di Varignana Resort & Spa adds, your suite comes with something special, a trip to the Ferrari museum and some time behind the wheel of a 500 horsepower Ferrari F430 Spider. What began its life in the 18th century as a Tuscan country residence in the picturesque hillside Southeast of Bologna, Palazzo di Varignana has been converted into 90-room four-star resort and spa. 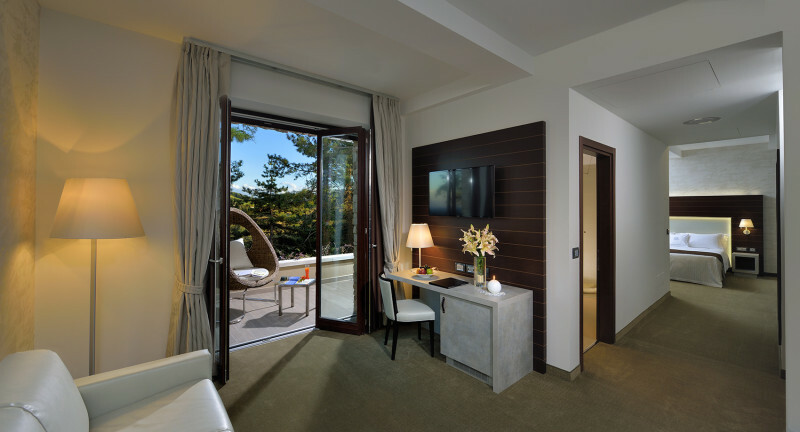 With immaculately manicured grounds and views that stretch from the Alps to the Adriatic Riviera, the resort is an ideal place for a summer or fall get-away. The Red Experience makes it even more ideal for car enthusiasts. The experience begins with a private driver who will take you to the Galleria Ferrari Museum in nearby Maranello. More than just a museum, but also a dynamic exhibition of cars, from historic vintage racers to the latest F1 and road cars, along with pictures and trophies that make up the company’s illustrious history. Then it’s time to drive. 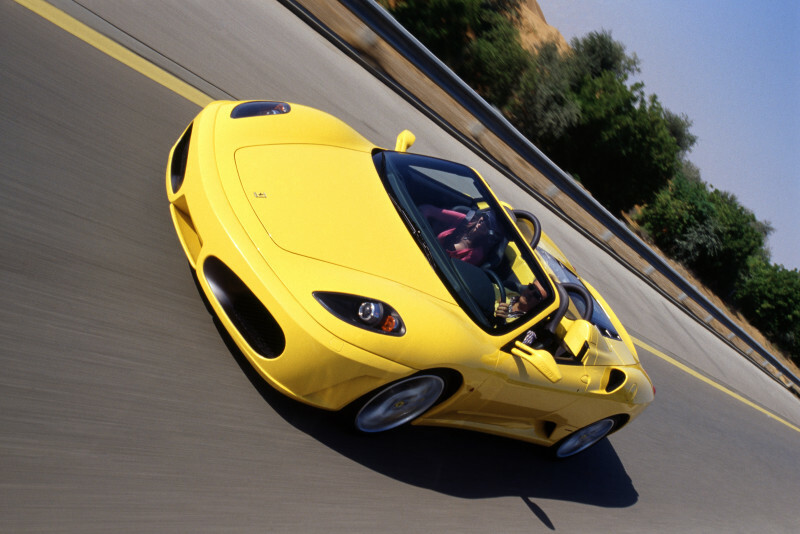 You get 30-minute behind the wheel of the Ferrari F430 Spider or choice of another Ferrari available upon request. The F430 was in production from 2004 through 2009, is built on an aluminum space frame and is powered by a 491 hp longitudinally mounted V8. Using a 6-speed dual clutch transmission with paddles, the F430 is quick. 60 miles per hour comes up in just 3.7 seconds. With its light weight and lots of downforce, the F430 handles almost as spectacularly as it looks. And it’s one of the best Ferraris to drive through the sunny Italian countryside. Following your drive, you’ll get to experience one of the region’s most notable balsamic vinegar makers and linger there for a light lunch. Your driver will then return you to the resort for some time at the Palazzo’s SPA and dinner at the Pool & Lounge Bar and Restaurant for an authentic local culinary experience. VarSana SPA: Three hours access per day to the 1,300 square meters SPA featuring a pool with jets and water blade, sensory showers, bio sauna, Finnish sauna, hammam, ice waterfall, hot tub, Kneipp, large relaxation area with tea infusions, and a panoramic gym with state of the art equipment. At just 1,126.00 EU (1,241.83 USD) for two people for two nights this package seems like a bargain. Reservations can be made through the Palazzo’s website or by calling +051 1993 8300.